Tufin has an IPO today on the NYSE. Unlike several of the recent IPOs, this one seems fairly priced. I would consider buying at these levels. IPOs are extremely complicated events resulting from a process that involves a volatile mix of urgency and hubris. The company issuing equity needs the capital to finance their operations, the underwriters and the exchange want to be known for accomplishing this better than their competition, and the investors want sufficient returns. It's not hard to see how this mix of agenda and emotion, can cause things to go wrong. The underwriters can overprice the listing, raising more money for the company, but hurting investors, or they can leave too much on the table create a negative opportunity cost for the company issuing. From my point of view, this is not what occurred with Tufin (TUFN) during its IPO and I think the pricing hit that happy elusive happy medium public offerings seek to achieve. Tufin is a company that you may not be familiar with, but one with which entity-level clients certainly are. Former Check Point (CHKP) talent, Ruvi Kitov and Reuven Harrison, founded Tufin in 2005 as a cybersecurity start-up that specializes in automation across security platforms, while improving both security and compliance. 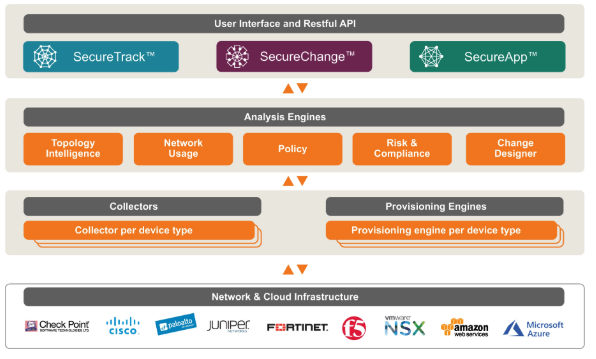 The Tufin Orchestration Suite supports routers, load balancers, web-proxy, hybrid next-gen firewalls, and many other in-demand features. Though the company's global headquarters is located out of Tel Aviv, Isreal, Tufin also has a headquarters in the United States, which is located in Boston, MA. Since the company's founding, Tufin has demonstrated a strong ability to grow revenue by both increasing their customer base and by further monetizing their existing clients. In terms of earnings, the company reports its revenues and cost of goods in terms of two business units: Products and Maintenance and Professional Services. Historically, the majority of the company's revenue has been attributable to its Products division, and I expect this trend to continue. This trend is actually very positive for the company as this unit of business has much lower associated costs compared to Maintenance and Services. 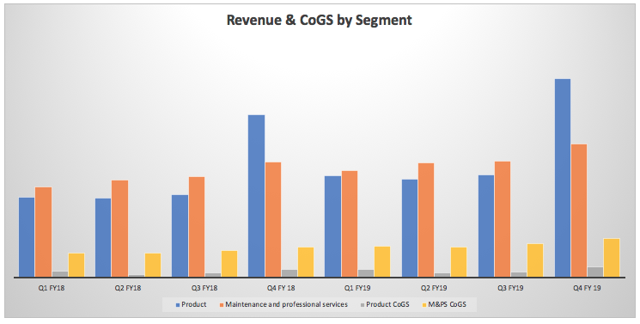 The company's negative EBIT is largely attributable to its sales and marketing and R&D efforts, while G&A is typically a fairly flat 6% of revenue. Unfortunately, these expenses are required in order to continue to grow their client base, and in order to ensure their solutions are up-to-date. Again, I do see this trend improving in the future, but for now, I am expecting another costly few years, and I will be watching the guiding remarks on this closely. Shares priced at $14 the night prior to the first day of trading and they subsequently opened at $18.05. This is a significant gain of 33%, but it still leaves the company below the 7.82x revenue its peers are enjoying (placing a current fair value around $20.48). I think this valuation is fair given the growth the company has demonstrated in the past and given the increased demand the cyber-security space will see in the years to come. My predictions for the company's growth rates are in the double digits, but they are modest (mid-lower teens). For this reason, I am highly confident they are achievable, if not simply due to the macro growth of the industry itself. Tufin is not a profitable company and it is priced on a multiple of sales. This is not something unique to Tufin by any means, but it is an attribute that many investors wish to avoid in their portfolio. There is a path to profitability, given they can manage the operating expense (particularly selling), but a path is still nothing more than a trail leading somewhere the company is not right now. I strongly encourage investors to listen to the company's guiding statements during earnings and make sure they stay on this path and do not deviate into a trail of deepening loss. Despite the initial pop in price, I think this is an IPO that leaves room for the retail investor. The underwriters were wise not to reach and to leave some money on the table. I think this is a stock investors should consider buying, if not now, after lock-up expiration, as there is certainly upside potential. If you are someone who is averse to buying businesses pre-profitability, then you may want to give this a pass. I'm giving Tufin a buy with a price target of $24.50 (note I round my price targets as the market is volatile).